The ME-26 Was The First Ever Operational Jet Fighter : Did You Know ? It was 1939 and the outbreak of World War II, Nazi Germany was at the fore front of technologically advanced warfare machines. They had very bright scientists, big and improved laboratories and a very massive labor force that consisted of Jews. They needed machines to aide their conquest and in the year 1944 they introduced “The ME-262” - The first ever operational jet fighter. 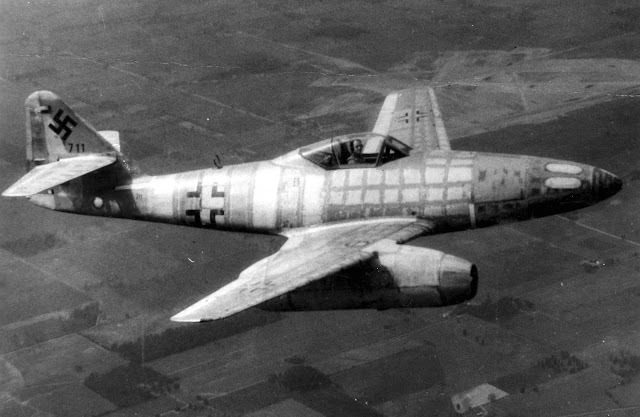 Known formally as the Messerschmitt Me 262, and nicknamed Schwalbe which means swallow in German. It was a historical feat whose design work had started before WW2 but some technological and material problems kept it from being operationally available until 1944. Its introduction and use was advancement in technology and aviation during its use in WW2 and it was claimed to have shot down a total of 542 Allied aircrafts. The ME-262 faced an upheaval battle of remaining a solid fighting forced due to its engine reliability problems and the fact that Allied forces attacked them en-mass during fuel supplies because of its ferociousness while in air. The ME-262’s effect during the war for Germany was negligible, it was introduced a little too late but there will be no denying that the aircraft revolutionized aviation as a whole and the production of numerous other jet-powered fighter air-crafts.